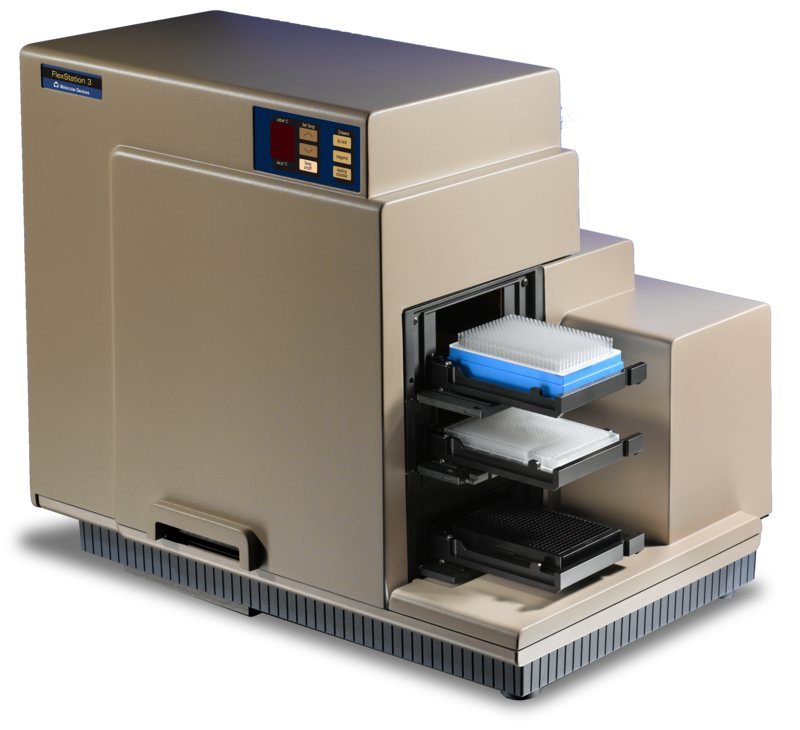 The FlexStation® 3 combines Molecular Devices’SpectraMax M5e Microplate Reader performance with an integrated 8- or 16-channel pipettorinto one compact benchtop reader providing users with a multi-detectionplatform capable of increasing the liquid handling throughput and flexibility for biochemical- andcell-based kinetic assays. 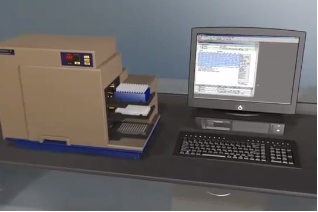 Using an 8- or 16-channel pipettor, theFlexStation 3 Reader offers added assay flexibility over dispenser-based systems by transferring reagents from 96 or 384 distinct wells in a source plate to a read plate, simultaneously. In addition, users can define individual reagentsand concentrations to be delivered to each well. Liquid transfer for endpoint and slow kinetic assays can be automated to initiate a response at user-defined points of time. Dualmonochromators allow users to target the optimal assay excitation and emissionwavelengths and eliminate the need to change expensive band pass filtersbetween experiments. Dual PMTs provide flexibility to detect multiple detectionmodes, while a separate PMT provides additional sensitivity for luminescenceapplications. Reference diodes automatically adjust to slight fluctuations inexcitation intensity to reduce measurement noise. Absorbance applications areenhanced using top-quality UV-grade fibers to provide high light transmission in the lowest wavelengths. The FlexStation 3 Microplate reader supports a wide variety of assay categories including Fast kinetic calcium mobilization assays, Membrane potential assays,ELISAs DNA/RNA quantitation ,Protein assays,Enzymekinetics,Proteaseassays,Fluorescent proteins and FRET, Cell viability and cytotoxicity assays, Reporter gene assays, Cell migration assays, Cell adhesion assays, Fatty acid uptake assay, Neurotransmitter transporter uptake assays, ADME-Tox, Membrane permeability, Phosphotase/kinase assays, Microbial growth assays,Endotoxinassays,Low volume applications etc.